Great achievers use goals, planning, hard work and proven strategies to succeed at the highest levels. Clarity, the 1st Discipline of Success, points us in the direction to achieve our goals. 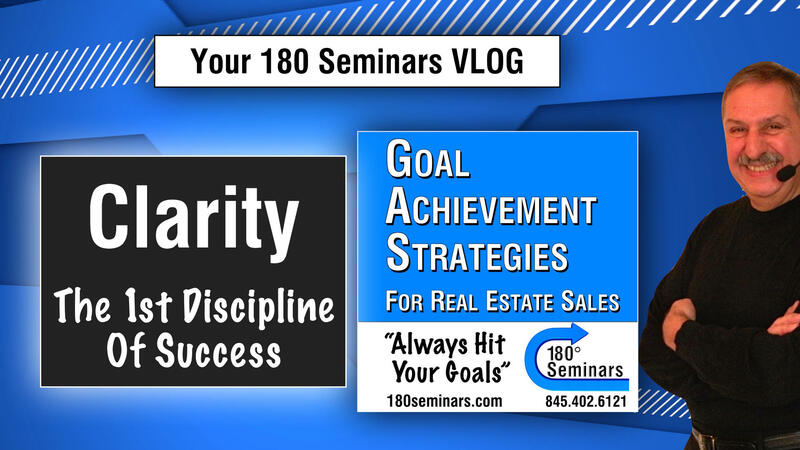 Join Master Trainer Vinnie Romano as he shares one of “The 10 Disciplines Of Success” each week, in his VLOG hosted by 180° Seminars. Clarity: The 1st Discipline Of Success. Stay Connected - Be The First To Receive Powerful Tips, Tools and Techniques to Increase Your Income! 180 seminars growth inspiration video vinnie romano where's my pony?